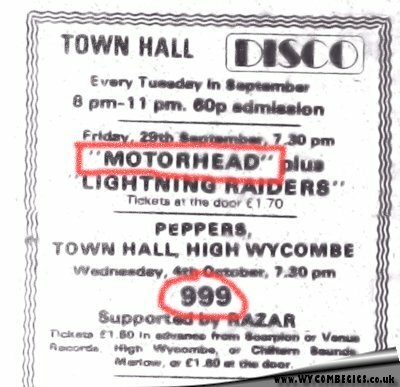 999 returned to High Wycombe on Wednesday 4th October 1978 to make their debut at the Town Hall. The band had formed out of the London punk scene in late 1976 and had played an infamous gig at The Nag’s Head in September 1977 that was marred by violence and resulted in a ‘punk’ ban for the London Road venue. 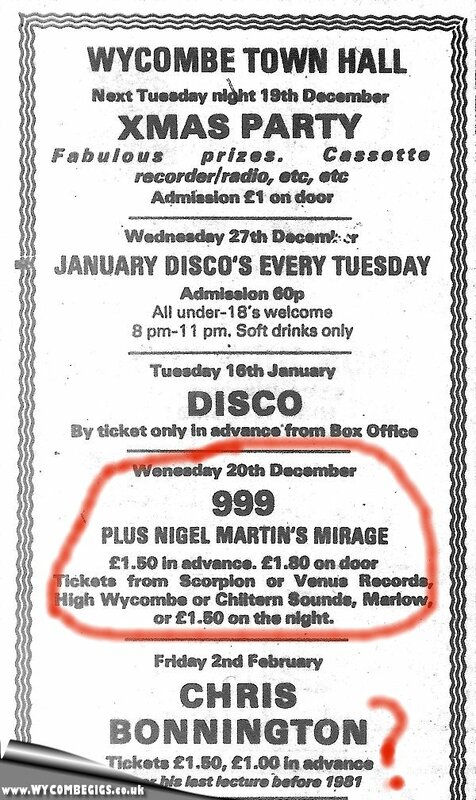 A year later 999 were heading back to High Wycombe on the back of a well-publicised tour promoting their album ‘Separates’ album released on United Artists record label. Support at the Town Hall were Razar. 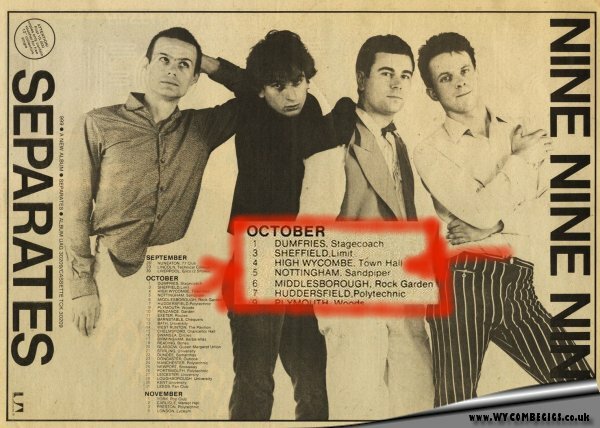 999 tour dates – September, October and November 1978. 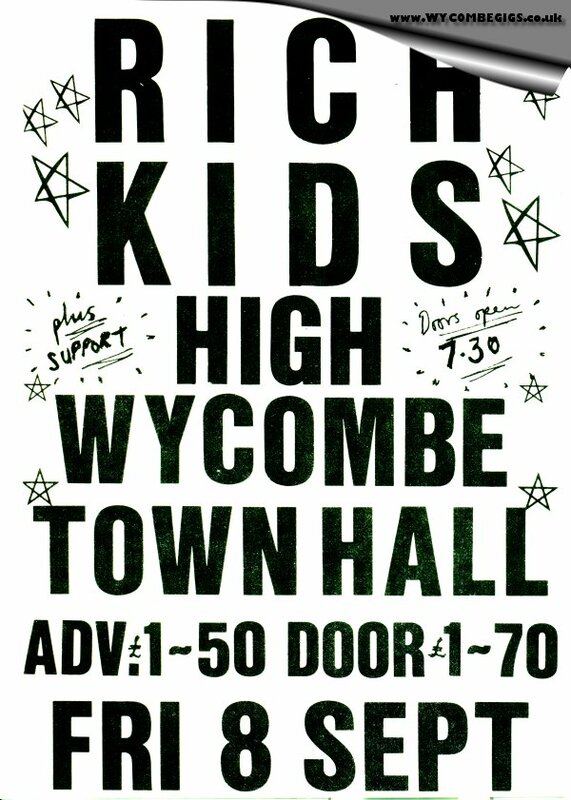 Including High Wycombe Town Hall – 4th October 1978. New wave pop group 999 gave an exciting and energetic performance at the eighth date in a nation-wide tour at High Wycombe Town Hall on Wednesday night. The group has just returned from a European tour with The Stranglers and at the moments its following is mainly limited to punk rockers. The group hopes that this tour will launch it to greater things and if this gig is anything to go by, that should be a long way. Numbers like ‘Nasty, Nasty’ got the audience up on the stage and all through the show, rockers dressed in anything from leopard skin body stockings to leather drain-pipe trousers, jumped up and down, incessantly, near the stage. ‘Feeling Alright With The Crew’, a single taken off 999’s new album ‘Separates’, sees singer Nick Cash’s voice, plus echo, used to great effect over hypnotic boogie backing. With ‘Subterfuge’ and ‘No Pity’, the group buried any attacks that it is nothing but a two-chord wonder. There was no safety pins and no violence. 999 responded well and the audience lapped it up. The success of the gig led to promoter Ron Watts bringing the band back to the Town Hall for another appearance in December 1978. 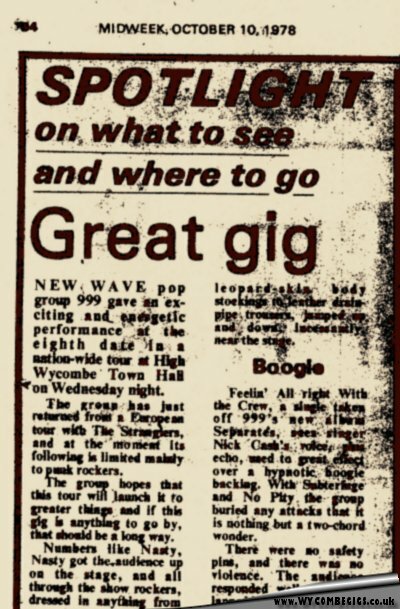 A new live music Club was launched at High Wycombe Town Hall on Friday 14th July 1978 with the ‘Peppers’ Club promoting a ‘New Wave/Punk’ night featuring London’s The Lurkers, Damned exile Rat Scabies’ White Cats and local band The Vents. 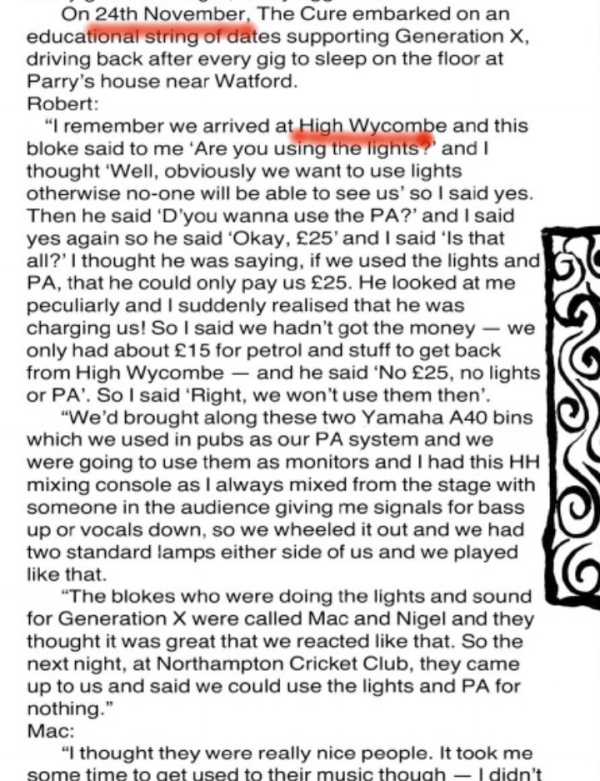 Peppers appears to be joint venture run between local promoter Ron Watts and Wycombe District Council, with the aim of offering membership to gig goers in a similar way to the much longer running Friars Club at Aylesbury. Punters attending the Lurkers gig were given free membership cards with the promise of cheaper admission at subsequent Town Hall gigs. The ‘Club’ idea was also intended as an attempt to prevent violence at gigs. The principle being if you caused trouble you would have your membership revoked and thus not admitted to future gigs under the Peppers name. The opening night for Peppers took place midway through a year that had slowly been taken over by music related blockbuster films ‘Saturday Night Fever’ and ‘Grease’. By mid-July 1978, ‘You’re The One That I Want’ by John Travolta and Olivia Newton-John from the ‘Grease’ soundtrack had been at No.1 in the UK singles chart for five weeks. In the album charts, ‘Saturday Night Fever’ had been sitting at the top for 11 weeks! The live music scene at the time was about as far removed from this summer of cheese as you could imagine. A gig at the Town Hall proved a welcome relief from the increasingly nauseating Travolta based music being inflicted via national radio and TV… and the ‘Disco’ nights at the same venue on Tuesday evenings! 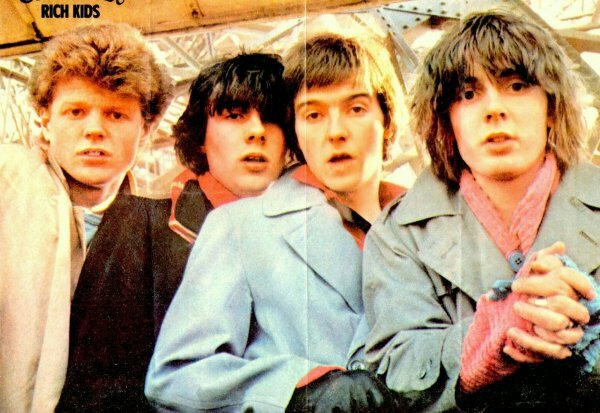 The Lurkers, headliners for The Peppers opening night, had formed in West London in the latter part of 1976. They played some of their early London gigs at the iconic Roxy Club venue in early 1977. 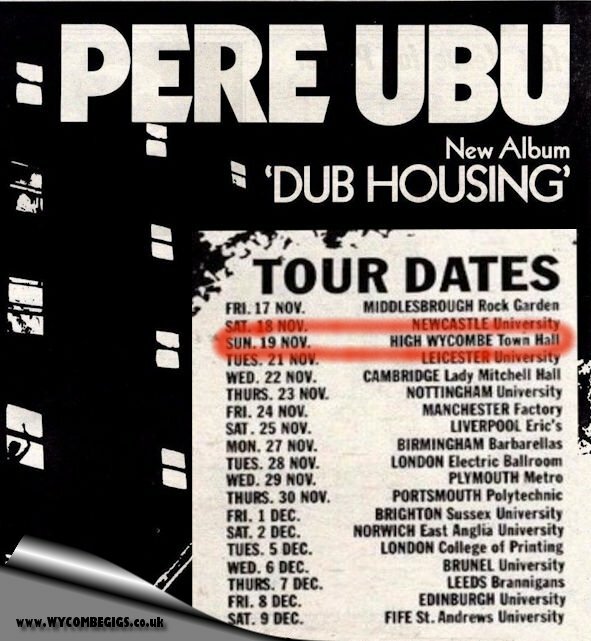 Gigs later that year saw them support the likes of The Jam, Eater and Slaughter and The Dogs. They released their first record on Beggars Banquet – a track titled ‘Shadow’/’Love Story’ in July 1977. A second single, ‘Freak Show’/’Mass Media Believer’ followed in October 1977, both with limited success. Their third single, ‘Ain’t Got a Clue’/’Ooh!, Ooh! I Love You’ was released in May 1978 and proved to be their biggest hit – reaching 45 in the UK singles chart. Their debut album, ‘Fulham Fallout’ was released in June 1978, while another single, ‘I Don’t Need To Tell Her’/ ‘Pills’ was released in the same month as their High Wycombe Town Hall gig and earned them an appearance on Top of The Pops on 3rd August 1978. 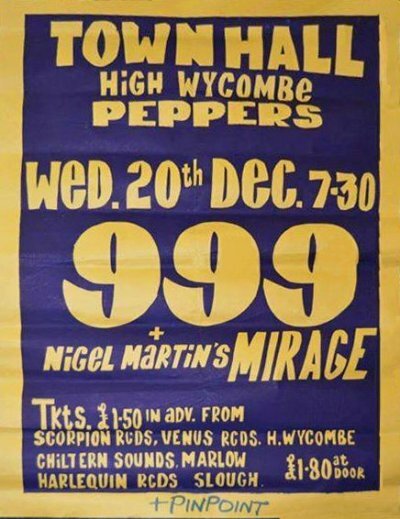 Their line-up at the time of the Town Hall gig is believed to be Howard Wall (vocals), Pete Stride (guitar), Nigel Moore (bass) and Pete ‘Manic Esso’ Haynes (drums). Meanwhile, The White Cats and been formed around January 1978 following the latest split-up by punk originals The Damned – drummer Rat Scabies (real name Chris Miller) recruiting Kelvin Blacklock (vocals), Eddie Cox (guitar) and Steve Turner (bass). Blacklock had been a member of early early punk band London SS. 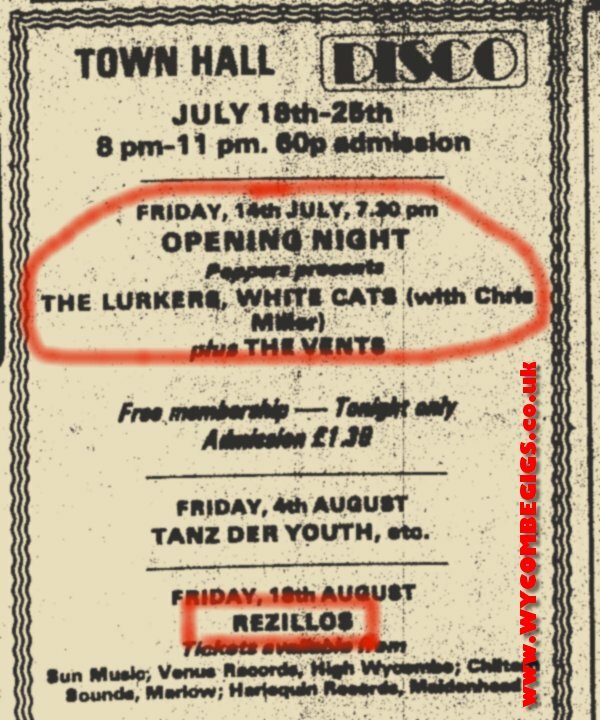 The White Cats played as headliners at The Nag’s Head on 6th July 1978 and clearly had impressed promoter Ron Watts to bring them as support for The Lurkers – it was perhaps a role that they didn’t enjoy? Meanwhile, ‘Tapps’ also recalls the attitude of The White Cats and confirms they introduced their final song of the evening as ‘Bollo*ks to Wycombe Town Hall’. The White Cats were fairly short lived as they struggled to find their own identity. Their set included The Damned’s ‘Stab Your Back’ and another Damned song in the making, ‘Second Time Around’. The latter appeared on The Damned 1979 album ‘Machine Gun Etiquette’, but renamed as the title track. Other songs in their set-list that night would most likely have included ‘Escalator Love’, ‘Teenage Dream’, ‘Junkyard Angels’, ‘Detectives’, ‘Here I Go Again’ and ‘Shotgun Lovers’ – all recorded for John Peel Sessions in April and August 1978. So the Club idea appeared to have worked, at least for this gig? “The hall was half full and the atmosphere wasn’t exactly electrifying either, which was disappointing when an exciting band like the Lurkers are appearing. First on were a young band called the Vents. A lack of aggression and attack produced a rather timid less than ordinary performance. The only memorable thing was the contorted expressions worn by the lead guitarist. Next on were White Cats. With the inimitable Rat Scabies. Their performance was an improvement on the Rainbow showing, but only just. Vocalist Kelvin Blacklock was a poor shadow of Billy Idol, and proceeded to act the fool throughout. There was a good performance of the Damned’s Stab Your Back, but that apart, they were predictable, and when trying to be nasty, merely irritating. 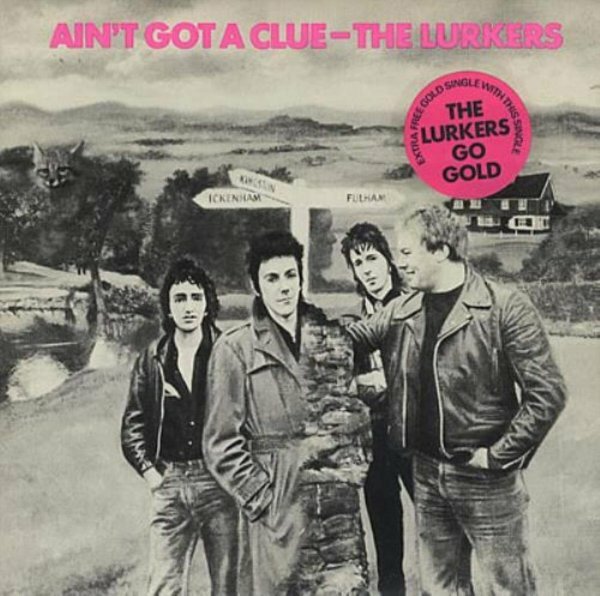 Finally, on came the Lurkers, and alter a disastrous start when Pete Stride’s guitar strings broke during Ain’t Got A Clue, they proceeded with a superb rock ‘n’ roll performance. Scottish punk/new wave band The Skids played their first gig outside of Scotland or London on Friday 30th June 1978 (*) with a date at a Ron Watts promoted night at The Nag’s Head. (*) I’ve seen the date of The Nag’s Head appearance documented as both Thursday 29th June 1978 and Friday 30th June 1978. – The Thursday date was certainly the originally intended date and would tie in with the usual Thursday ‘Rock Night’s under Ron Watts’ promotion. 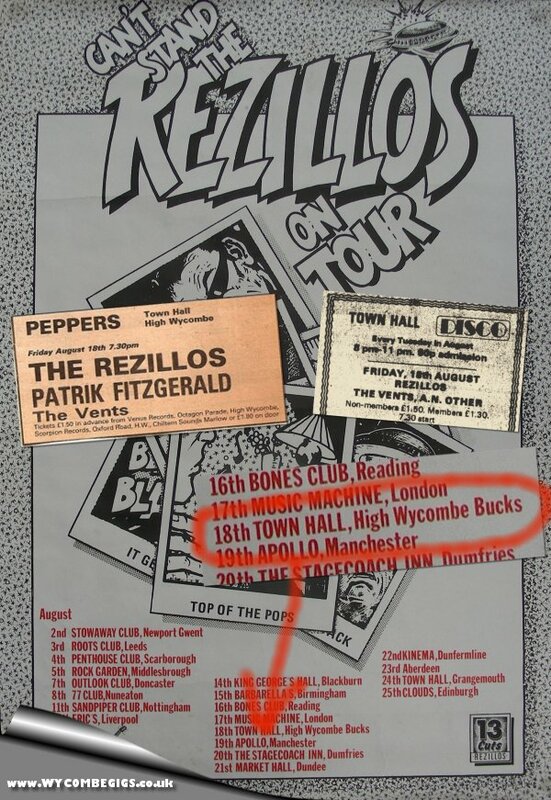 The music paper listings for that week show Thursday 29th June but I was delighted (and more confused) to discover the above tour advert in The Record Mirror showing The Skids ‘Return To London’ dates with The Nag’s Head appearance indicated the 30th June. My theory on why it might have been moved is below. The Skids had been formed in 1977 in Dunfermline by then 19-year-old guitarist Stuart Adamson. He recruited Bill Simpson (bass), Thomas Kellichan (drums) and a 16 year old Richard Jobson on vocals. 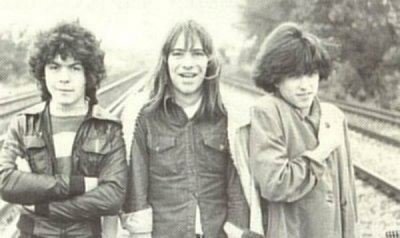 They played their first gig in August 1977 and released their first record in February 1978, the Charles EP on the No Bad record label (Tracks: ‘Charles’, ‘Reasons’ and ‘Test Tube Babies’). The EP was championed by John Peel and led to a rapid rise in their popularity away from their homeland. The Skids subsequently made their first journey ‘down south’ during April 1978, playing well-known London venues; including The Rochester Castle (Stoke Newington), Red Cow (Hammersmith), Hope and Anchor (Islington) and The Nashville (Kensington). The trip coincided with a record deal being signed with Virgin Records. Their return south in June 1978 followed a first John Peel session recorded on 16th May 1978 and first broadcast three days later. The tracks were: ‘Of One Skin’, ‘Open Sound’, ‘Contusion’, ‘Night and Day’ and live favourite ‘TV Stars’. 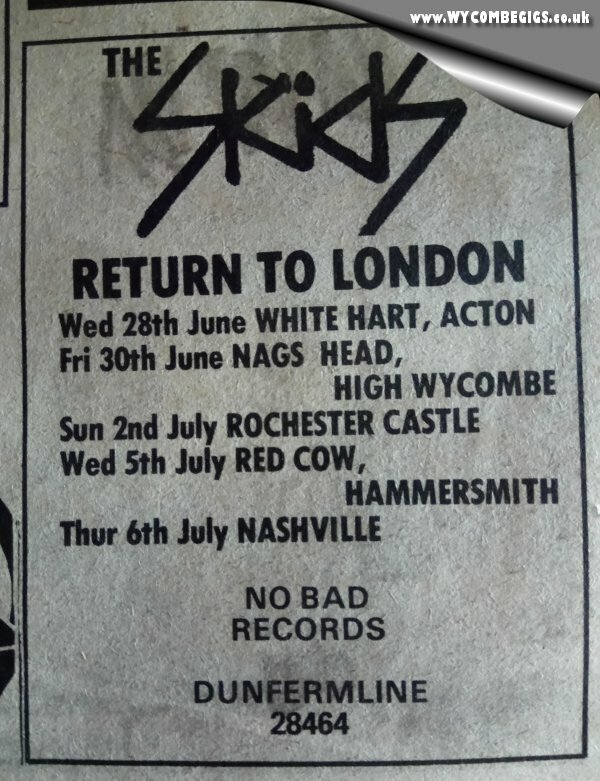 The tour dates show The Skids playing a 28th June 1978 show at The White Hart in Acton. Listings show this gig with the Scottish lads supporting Tubeway Army (Gary Numan’s electronic band in the making). By some accounts it was a violent evening at a venue famous for its ‘punk’ nights. I also noted a couple of other interesting gigs from the same weekly listing. 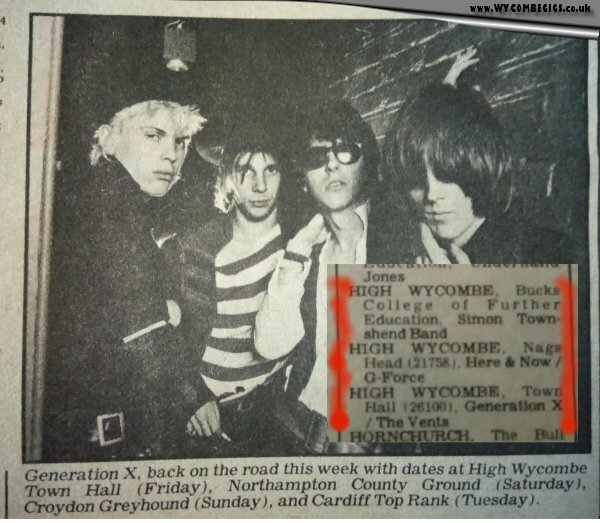 The Clash made their Aylesbury Friars debut on Wednesday 28th June 1978 in front of a sell-out 1,000 plus crowd – they had played the Nag’s Head in November 1976 in front of barely 100 people! On Thursday 29th June 1978, David Bowie played before around 20,000 fans at London’s Earl Court. He had made a very early appearance in High Wycombe during 1966 – also playing to less than 100 people. Perhaps the original date was moved to avoid clashing with The Bowie date? Members of The Skids were big fans of Bowie? Meanwhile, if you stayed at home to watch Top of The Pops on the Thursday night, you could have seen Dave Lee Travis presenting a typical show for the year – culminating in John Travolta and Olivia Newton John’s – ‘You’re The One That I Want’ video being shown for the third consecutive week. It would remain at No.1 for a further seven weeks! There was hardly a ‘punk’ revolution storming the top of the charts in the summer of 1978! Success for The Skids would come relatively quickly following their Nag’s Head appearance. Within 12 months they had recorded three further sessions for John Peel and released a trio of singles that would propel them into the limelight. Their debut on Virgin, ‘Sweet Surburbia’, was released in September 1978, while their ‘Wide Open’ EP released in October 1978 featured the storming lead track ‘The Saints Are Coming’. Both singles had minor chart success but that was blown out of the water with the release of ‘Into The Valley’ in March 1979 – reaching No.10 in the UK charts and earning them regular appearances on Top of the Pops. 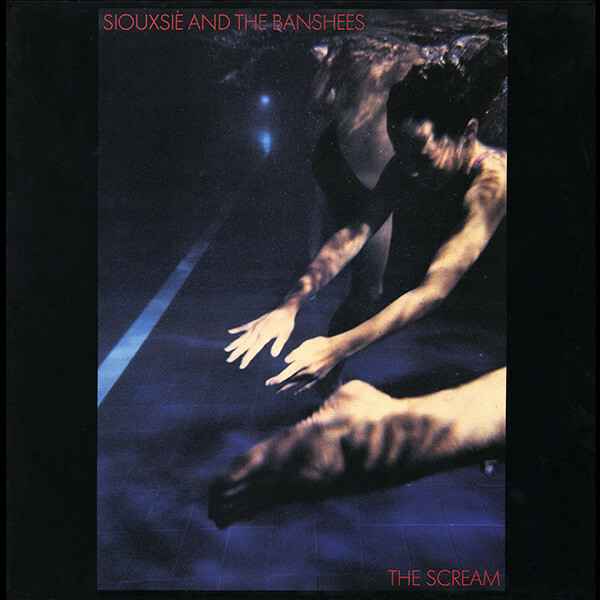 The track was taken from their debut album, ‘Scared to Dance’ – released in February 1979. In November 1979 – less than 18 months after their Nag’s Head show, they had sold out The Rainbow Theatre in London.